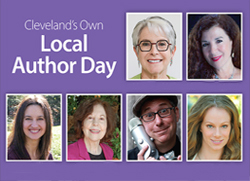 This Sunday, November 12, I’ll be presenting and signing copies of Invisible Emmie at the Mandel JCC in Beachwood, Ohio, as part of the Local Author Day at the Cleveland Jewish Book Festival. Hope to see you there! More info here.